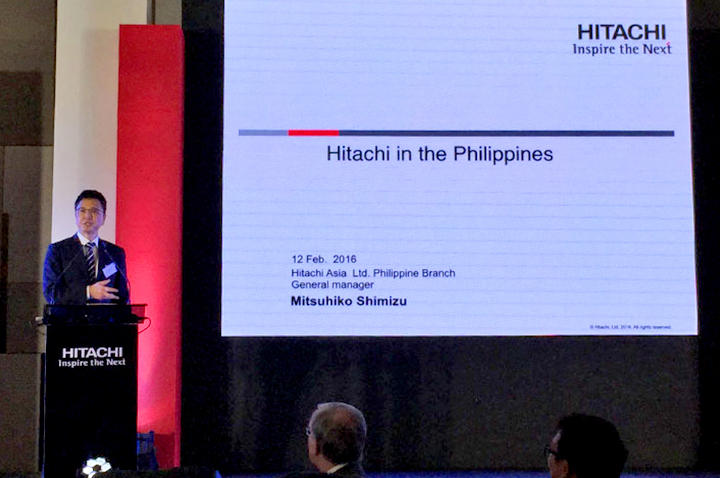 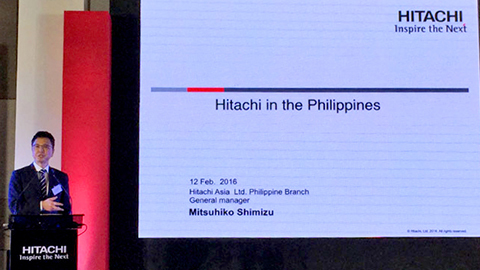 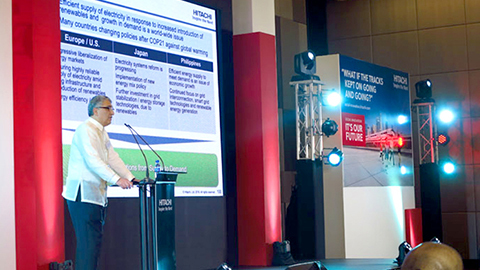 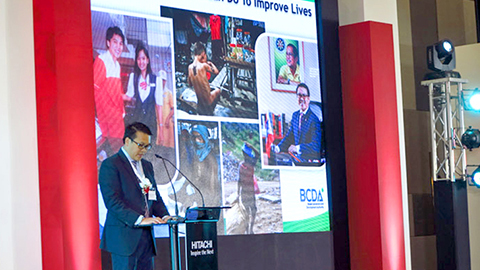 The various speeches and presentations at the business seminar illustrated Hitachi's Social Innovation Business and how Hitachi can address the challenging issues faced in the Philippines. 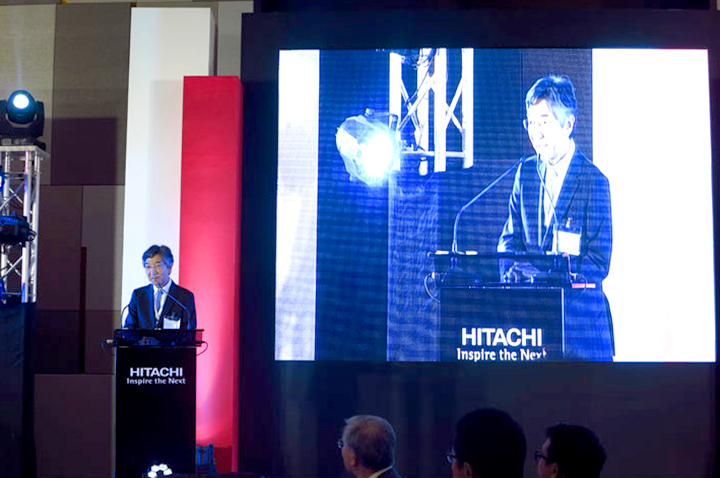 Through the speeches and presentations delivered by Mr Hiroaki Nakanishi (Chairman &CEO, Hitachi, Ltd.), Mr Mitsuhiko Shimizu (General Manager, Hitachi Asia Ltd. Philippine Branch), Mr Alireza Aram (Senior Vice-President, Hitachi, Ltd. Energy Solutions Systems Company) and Mr Alistair Dormer (Vice President and Executive Officer, Hitachi, Ltd. Rail Systems Business), distinguished guests were able to understand more about Hitachi's "collaborative creation" and its social innovation business, such as the existing Hitachi energy and railway system solutions adopted globally. 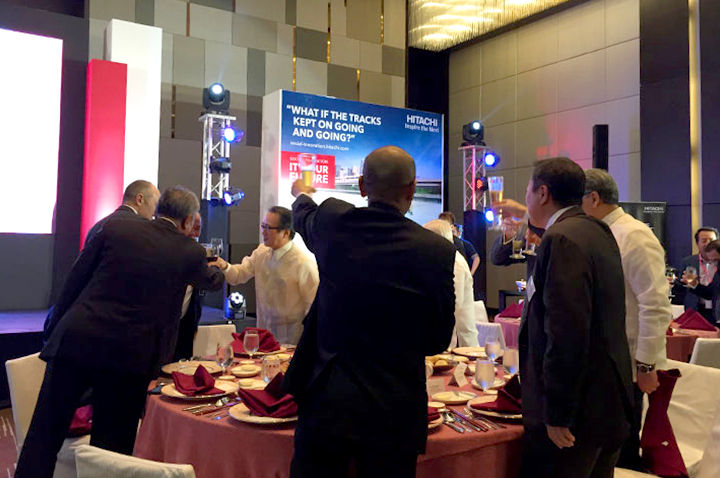 Guest-of-honor Mr Arnel Paciano Casanova, Esp. 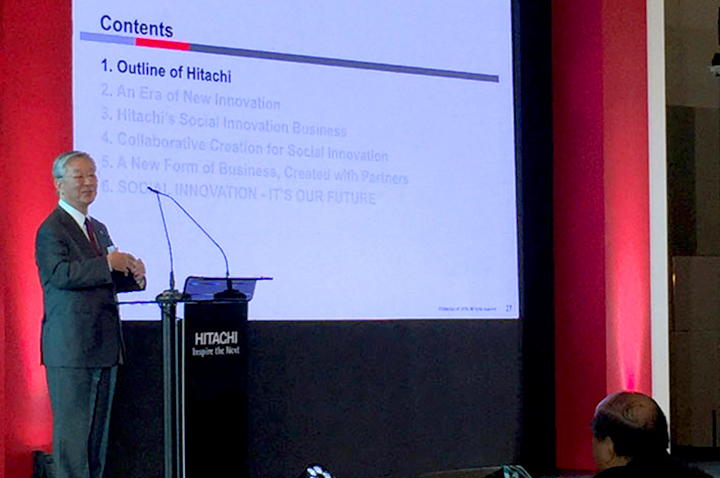 (President and CEO, Bases Conversion and Development Authority) also shared his upcoming plans for the city and welcomes future partnership with Hitachi. 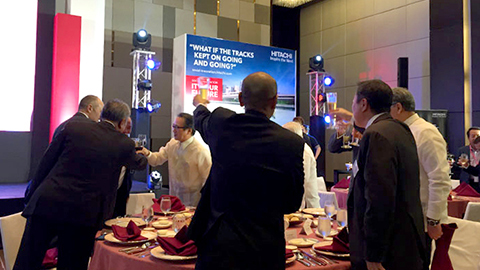 The networking cocktail and gala dinner provided opportunity for mingling and the sharing of ideas among key stakeholders in the market. 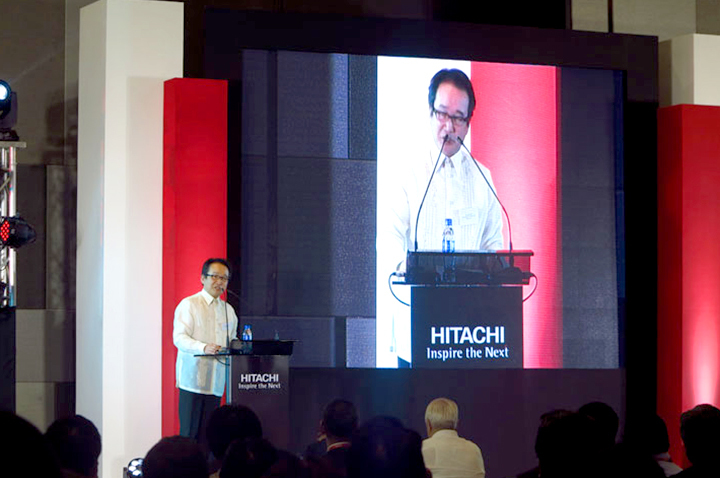 Besides reiterating Hitachi's efforts and capability introduced by Mr Hiroaki Nakanishi (Chairman &CEO, Hitachi, Ltd.) and Mr Mitsuhiko Shimizu (General Manager, Hitachi Asia Ltd. Philippine Branch), His Excellency Kazuhide Ishikawa (Ambassador Extraordinary and Plenipotentiary of Japan to the Republic of the Philippines) also asserted his expectation and hopes for further contribution to the city by Japanese companies. 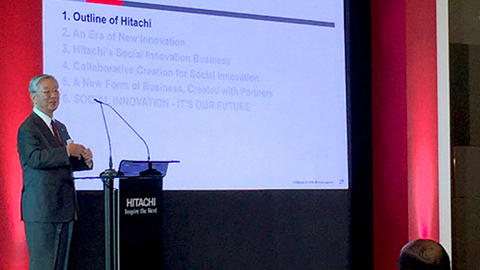 Hitachi's key technologies and strengths in the Social Innovation Business were also highlighted at the exhibition which was held concurrently at the forum. 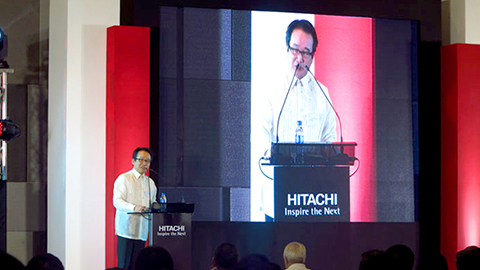 Some of the key business fields showcased include Hitachi in the Philippines, Information Communication Technology, Urban Developments, Transportation, Healthcare, Construction Machinery, Transport (Logistics), Infrastructure, Industrial Components & Equipment, Power, Oil & Gas, Broadcasting, Power Tools and Consumer Products. 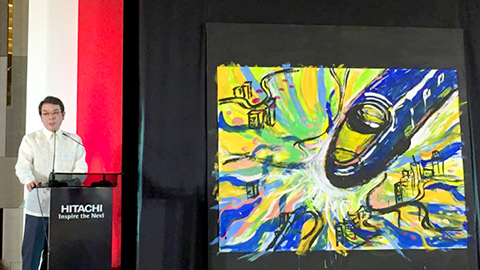 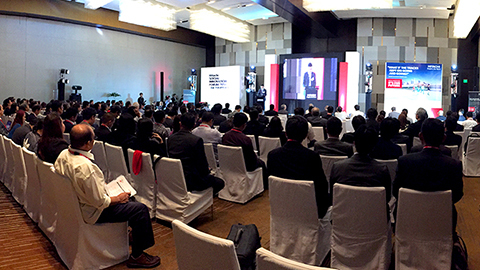 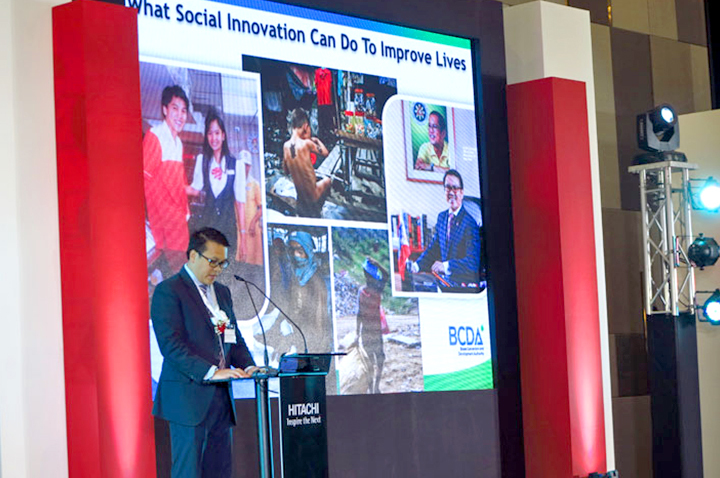 This is the third Hitachi Social Innovation Forum held in Southeast Asia (SEA), following successful events in Singapore in 2014 and Myanmar in 2015. 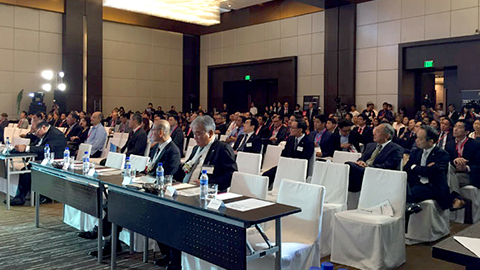 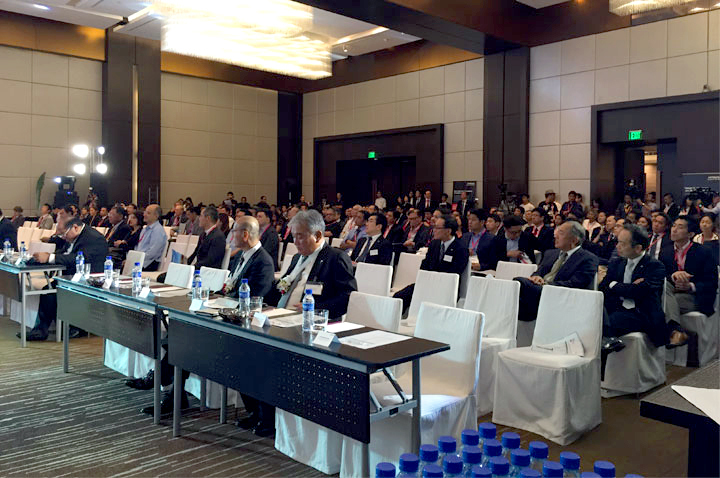 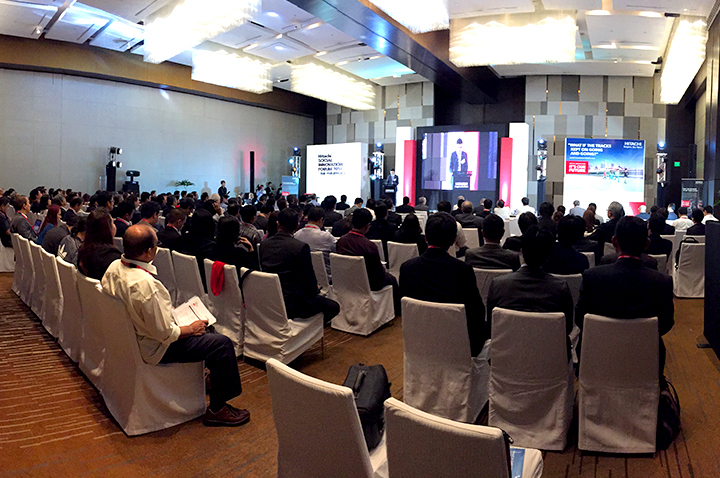 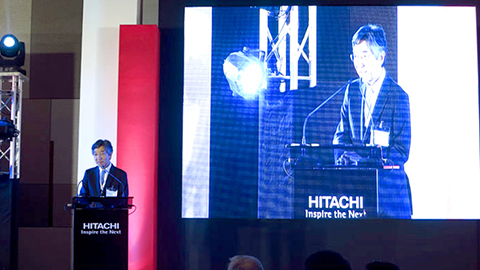 The Hitachi Social Innovation Forum 2016 THE PHILIPPINES attracted a total of 214 guests (192 guests for business seminar and 161 guests for the networking cocktail and gala dinner with no duplication). 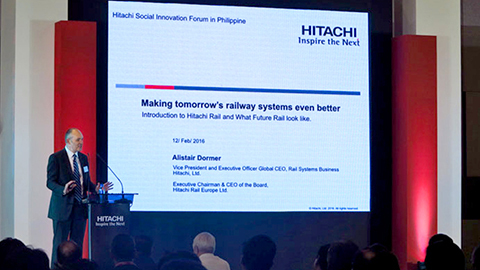 Through this event, we hope all attendees would have a greater understanding of Hitachi's Social Innovation Business and its efforts in the Philippines. 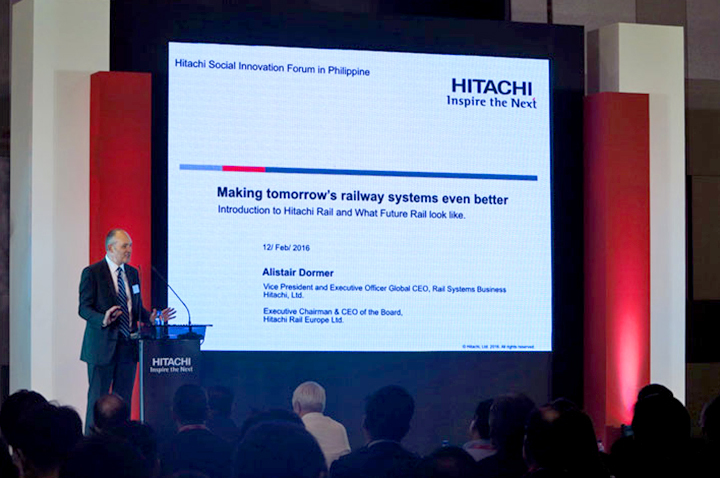 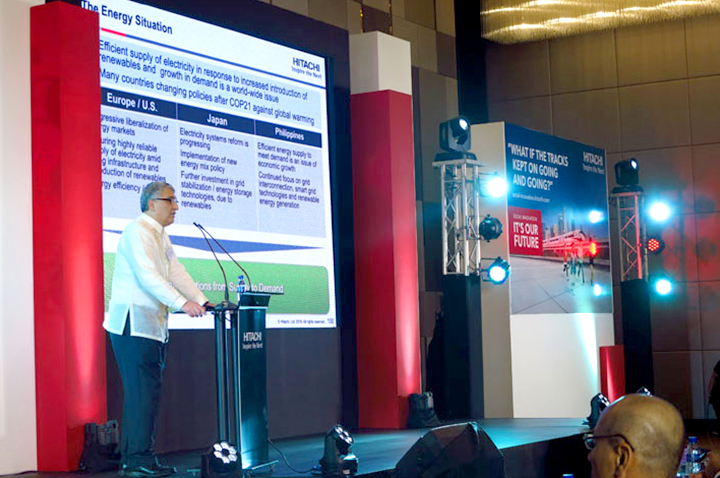 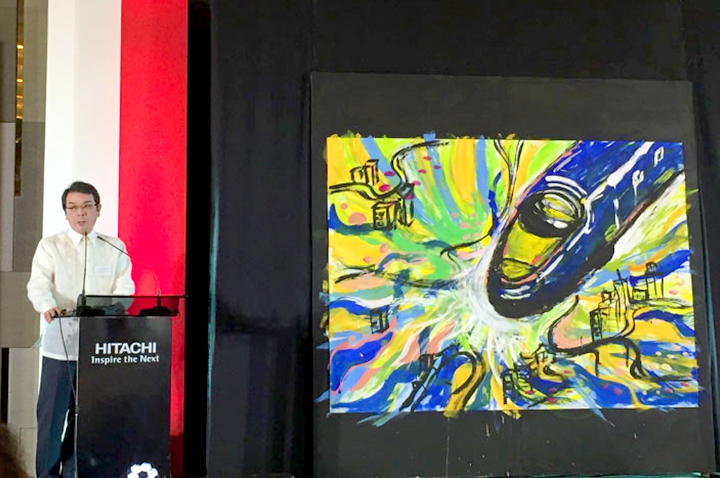 The Hitachi Social Innovation Forum serves not just as a showcase of Hitachi's business portfolio and capabilities, but also a reaffirmation of Hitachi's commitment in the Philippines and the ASEAN region.